The action is heating up in Mortal Kombat X as the Outworld Civil War escalates in an exclusive preview posted by Bloody Disgusting. Kotal Kahn is marshalling the troops in Chapter 7 of the DC Comics series, which has a healthy dose of romance just in time for St. Valentine's Day! Mortal Kombat X is less than 7 months away! Even as the April release date and pre-order bonus draw nearer - there remains much to be discovered about the reboot sequel's fundamental elements! 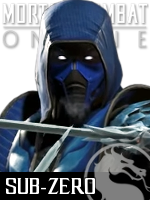 The playable cast continues to be a source of new speculation, but one of the overarching mysteries introduced during June's E3 unveiling is the identity of the final boss! Every fighting game needs a memorable final challenge. Mortal Kombat has enjoyed some of the genre's best bosses - MKII & MK3's Shao Kahn still looming large since his introduction more than 20 years ago! Series co-creator Ed Boon says MKX's boss is: "a fun surprise returning character" and "[not] a lot of people will see it coming". 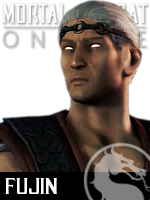 He's eliminated a few contenders along the way, blatantly ruling out Goro, and supressing suspicions about Kotal Kahn. With this information - Mortal Kombat Online has had its finest minds on staff debating the lead suspects. After a few months of fisticuffs and consideration - the following is our Top 10 Final Bosses for Mortal Kombat X! Before the announcement of Mortal Kombat X, minds were understandably narrowed on the events of Mortal Kombat 4. 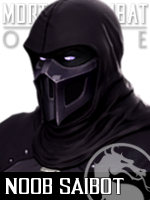 The plot of the first three games was retold by Mortal Kombat (2011) -- heavily implying the next in sequence with a story mode cliff-hanger schemed by MK4 antagonists: Quan Chi and Shinnok. Much remains a mystery about the plot of the 2015 sequel, or how the new history of MK2011 will play-out across MKX's 25 year timeline. The grim predicament left by a slaughter of heroic mainstays could force some surprising twists, but this isn't exactly unchartered territory. The worst outcome has always been a presented option for MK - as forewarned by a tradition of hypothetical arcade endings. From sequel to sequel, it's typically been the heroes whose possible outcome is made canon. Over the course of Deadly Alliance and the sequels that followed, we learned it was mostly the MK4 heroes' endings that had a role to play in shaping the on-going saga. 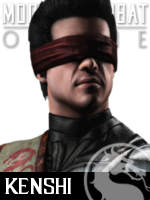 Liu Kang was victorious for a fourth consecutive event - defeating fallen Elder God Shinnok; Raiden was briefly appointed Elder God; Lt. Sonya Blade survived Jarek's aggressions, and Scorpion discovered the truth behind his spectre's curse - plunging Quan Chi into a dogged pursuit through the Netherrealm. As Mortal Kombat Online continues to shift some of its extensive video archive to YouTube, we revisit the past of MK4 to ponder what would've happened if it all went horribly wrong. At a glance, MK4 proposes two realities -- the one we've experienced, and a darker alternative where heroes perished and evil won. Could this alternate ending influence the course of MKX? We'll find out April 14, 2015.